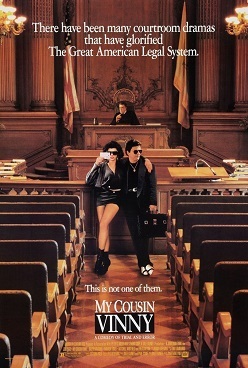 I recently watched the movie, My Cousin Vinny, a rather light-hearted and funny story that stars Joe Pesci and Marisa Tomei in a comedic tale about the challenges facing an inexperienced, loud-mouthed lawyer from New York who defends two college students accused of murder in rural Alabama. There’s a scene in the movie that reminded me of the recent Wikibon report on storage integrations with VMware®. If you’ve seen the movie, then maybe you can recall the scene where Vinny Gambini (Joe Pesci) attempted to explain his legal strategy by holding up a playing card and displaying the back of it to his accused cousin. At this point, Vinny turned the card so that its edge was facing his cousin. So, where’s the connection? Well, the Wikibon report I am reminded of is “EMC and NetApp lead in VMware Storage Integration Functionality” in which analysts provide a fairly thorough review of the state of the union around storage vendor integrations with VMware. The finished report was based on their efforts to assess the completeness of each integration point across a broad spectrum of storage platforms. Let me be the first to say that, for the most part, I agree with their assessment, NetApp and EMC are the storage vendors best known for leading the market with VMware integrations.However, I couldn’t help but feel like Vinny Gambini holding the playing card; I think there’s more information and value in this report than what meets the eye. First, I think the team at Wikibon did a great job in collecting and analyzing the vendor-provided data and applying it against set of metrics that comprise their findings. Second, when it comes to technology, there’s always some amount of delta that exists between the values marketed versus the values that can be obtained. This delta usually begins to become identifiable only after the solution is assembled from multiple technical components and operational requirements. As you read the report remember that there are various forms of integrations, some are based on standardized APIs like the vStorage APIs for Array Integration (VAAI) and the Storage Replication Adapter (SRA) for vCenter Site Recovery Manager™ (SRM). However, the larger number of integrations do not conform to any set of standards as they are developed and and distributed by the individual storage vendors in order provide their unique value and functionality to virtualized workloads and infrastructures. Some run in VMware vCenter™as a plug-in, some run as stand-alone applications, while others rely on additional servers and storage to operate. Pulling this information together was an enormous challenge, and I truly appreciate the work of the Wikibon team. I had the privilege of participating with Wikibon in the review of NetApp technologies. During this process, I requested they consider widening the scope and analysis in order to expand the conversation from measuring the individual integrations to one that measured the cumulative effect and value of the solution. In my opinion, this is more in line with the intention and goals of customers. Evaluating how these point-based integrations operate together to provide enhance a customer’s virtualization and cloud computing efforts seems to be a significantly more valuable conversation. Unfortunately, my request was suggested a bit too late in the process; yet it serves as the genesis for this post. Storage arrays likeEMC’s VNX and VMAX and the NetApp Unified FAS platform are known for the value they provide to VMware technologies and solutions. The analysis provided in the following chart validates this point. The next set of charts provides details around Wikibon’s evaluation criteria and their results. They should be commended for their approach; they have been very open in sharing the methodology employed in their efforts. It’s refreshing to see such transparency on display. This chart displays the integration criteria in the study, along with verification of the implementation with each storage array. This chart expands on the content of the previous chart as Wikibon assigned a weighted value to each of the confirmed integrations. These values vary based on the completeness of implementation and value within the datacenter. Measuring Array integrations with VMware, Right? This criterion appears to have been rated as an array integration; however, based on the rankings, I believe asoftware-based replication solution was judged, not the array integration. SRM failback is not possible with the native replication in one of the arrays listed as having this feature. So, do we havea case where the criterion was changed from array integration? It’s your call. Now, if we expand the conversation around disaster recovery (DR) enablement it seems that we should include hardware agnostic software-based solutions, like the host-based replication invSphere 5™ or EMC’s RecoverPoint. In addition, such a conversation would allowus to discuss other considerations around DR, including how storage platforms can increase the ability of one to deploy a DR solution by reducing the infrastructure requirements of SRM. I ask you, what is more valuable to designing and implementing DR: the ability to increase the number of applications that one can protect or a reduction in the operational process required to failback from a DR event? There’s no right or wrong answer here.The former is enabled by storage savings technology like deduplication, where the latter results in an increase in the quantity of hardware and software deployed within the data center. Now consider that SRM provides a native failback capability; which option is more inline with the goals of your cloud? Here’s another criterion that requires us to expand thescope beyond that of array integration. I’m sure all of the storage vendors offer methods to protect data, in flight and at rest. Security is absolutely critical component in today’s datacenter, there’s no question about that, but what is missing are the securityintegrations in the array and with VMware. This capability was implemented across a broad range of arrays in the survey; yet we need to look at what this capability means to cloud deployments. With vSphere 5, one can provide pools of storage resources based on the underlying storage capabilities to meet the workload requirements. VMware technologies, such as datastore clusters and Storage Distributed Resource Scheduler (Storage DRS), provide this model as well as a means to ensure the I/O service levels for each VM. It’s easy to imagine large deployments spanning multiple arrays or customers deploying tiers of storage that utilize multiple arrays where each provides a different tier. Which storage vendors support, or plan to support, VAAI copy offload across arrays? It seems like this capability could become important with the new storage constructs and capabilities in vSphere 5. In my opinion, this criterion would have been best suited as an attribute of fast clones of individual VMs. Storage savings come in many forms and each technology has a unique performance attribute (dedupe = fast and compression= slow). As these capabilities are applied to production datasets, the abilityto treat them as an attribute of the storage pool and manage them via policies appears to be a more scalable approach than on a per VM enablement. I’m not sure how one of the arrays received a mark for SIOC integration. In its current form, SIOC operates by monitoring the latency of datastores from each connected ESXi host. SIOC provides this functionality without consideration of, or integration with, the storage array. It can’t as VMware currently does not provide an API framework for SIOC. A nice expansion of this topic would be to understand what technologies the storage vendors are providing to ensure performance resiliency in the event of unexpected increases in workloads. The ability of an array to respond dynamically to changes in the environment ensures optimal resource utilization, application performance, and the ‘downstream-effect’of relocating VMs (such as storage and bandwidth requirements when replicating VM for DR). 3. Criteria such as Data Protection Plug-in:Backup Reporting from vCenter, vMotion over distance with Active/Active and PowerShell Command List Integration (I believe the title is misspelled and should read ‘Cmdlets’) were somewhat overlooked. I offer the following links for your consideration. I hope that most will read this post as I have intended; to support Wikibon and the efforts of other analysts to continue to evaluate the state of integration between software and hardware vendors and to encourage the expansion of the scope to consider the broader impacts provided by the deployment of the unique capabilities in advancing cloud infrastructures. The content of such reports provide a wealth of information to the public and those responsible for influencing purchasing decisions. Again, my thanks to the analysts at Wikibon; by reviewing the storage integrations available with VMware, you guys may have initiated a new requirement for the industry to consider adopting, and hopefully expand upon. Nice work!